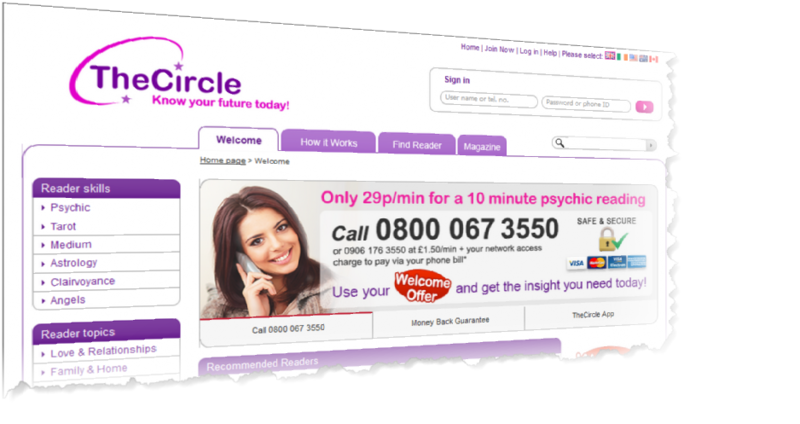 TheCircle, the Stream Live consumer brand for our Psychic and Astrology services, is the most established and largest psychic service in the UK with 24 hour service available internationally through Voice, Data and App technologies. We also provide pre-recorded Horoscope, Video and other esoteric services to support our range of Live advice service. We work with partners in all medias from TV to print and web through TheCircle brand as well as white label. By direct marketing internationally on all media we know what works which allows us to support our Partners with their own offerings. We ensure that all of our Readers adhere to our strict code of conduct and industry regulations. Our Readers are continually trained and we have full time quality control managers who monitor calls 24/7. All of our team has been through a stringent validation process to become part of TheCircle and we have a 100% caller satisfaction policy. As the UK’s leading, largest & most established Live Psychic Reading provider we bring many benefits to our customers and partners.